A: Lawyers don't think they're funny, and other people don't think they're jokes. Given the weights and speeds involved in most motor vehicle collisions, it is reasonable to predict that significant injury will occur to the human participants therein. In other words, if your car stops suddenly against an unyeilding force, such as the side of the car or truck that just ran the stop sign in front of you, someone is going to get hurt. Accidents involving cars, motorcycle, tractor trailer trucks generally happen for one reason: distracted driving. Someone was texting, when they should have been driving, someone was talking on the cell phone, someone was driving while tired, intoxicated, emotionally upset. We have become so casual about the experience of driving that we no longer give it the laser like focus that it deserves. Accidents involving 4-wheelers, or ATVs generally have to do with lack of training or experience. Usually an ATV accident is preceded by the phrase: "Hey, watch this!" No matter what vehicle was involved, if you're seriously injured, you need to get the right lawyer for the right results. A person weighing 160lbs., drinking 2 beers in an hour, would have a BAC (blood alcohol content) of .04, well below the legal limit, but that same person would be more than 1.4 times more likely to have an accident then a sober person. Add another 2 beers to the equation, and the BAC climbs to .08, the line between legal and illegal, but a point at which many people claim they are perfectly capable of driving safely. At .08 BAC, a driver will be 11 times more likely to have an accident than a sober driver. Add 2 more beers, for a six-pack, and the BAC climbs to .10 (the old legal limit), and the driver is 48 times more likely to have an accident. Add 2 more beers, and the BAC rises to .15, not an unheard of BAC, but the risk of having an accident rises to 380 times that of a sober person. If you're hurt in an accident, and you think the accident had to do with intoxication, even if you're a passenger in the car driven by the intoxicated person, call the right lawyer for the right results. The statistics for driving while texting are similarly sobering. (Ha! Did you see that! I made a joke!) 5 seconds is the average length of time that you take your eyes off of the road to text. At 55 mph, that's enough time to travel the length of a football field. Ask any running back: a lot of bad can happen in the length of a football field. Even though we know that we are not supposed to drive and text, 49% of all drivers under 35 years of age, with a cell phone, send or read text messages while driving. 78% of teen and young adult drivers have read a text message while driving. 71% of teen and young adult drivers have composed and sent a text message while driving. A driver who texts, or even talks on a phone is 3 times more likely to have an accident than an undistracted driver. If somebody just ran you off the road because they were too involved in a text, or a cell phone conversation, and you're hurt, you need to call the right lawyer to get the right results. Surprisingly, one of the most dangerous forms of driving is one that almost all of us engage in from time to time, and is perfectly legal: driving while sleepy. 35% to 40% of Americans report difficulty in falling asleep. 20%, one in five drivers on the road report getting insufficient sleep. Those most at risk for driving while drowsy are shift workers, commercial drivers, and young male drivers. AAA studies have suggested that 1 in every 6 fatal car wreck, or 17%, are due to drowsy drivers. Call the right lawyer for the right results. Not sure, but I think it means a bad day for the folks in the car, above. Person's name who caused the wreck. When and where did the wreck happen? Your insurance company...do you have underinsured, med pay? How did the wreck happen? What injuries did you suffer because of the wreck? If you've ever seen the aftermath of a semi truck/passenger car wreck, you don't need me to tell you that such wrecks are different than car on car crashes, or even motorcycle/car crashes. I'm talking, of course, about accidents involving large trucks, where the gross vehicle weight is over 10,000 lbs. Because of the enormous weights and speeds that we are talking about, truck/passenger car crashes are frequently catastrophic, and will very likely impact the victim for the remainder of her life. Truck accidents also deal with very specialized codes, rules, and regulations, all of which could affect your claim. Truckers and the company's that employ them are generally held to a higher standard than most drivers on the road, and they generally have insurance policies available with much higher limits. These higher standards are dictated by the Federal Motor Carrier Safety Regulatory Act ("the Act"). If a trucker, or his company is found to have violated any provision of the Act, and you can demonstrate that that violation caused the wreck, then the trucker, his employer, the company who loaded the truck, the company who owns the reefer, or trailer, can be held to be liable, or responsible for the wreck, and the damages. Many times after a wreck has happened, it is difficult to piece together exactly what happened. With truckers, however, while they will be well represented by their insurance companies and their lawyers, you have an opportunity to look at driving logs, which are supposed to be maintained, and look for evidence of deviation from the Act. The trucker, or the owner of the truck is supposed to keep detailed maintenance logs, which, again, can show a deviation from the Act. Almost all trucks are connected to their dispatchers by a device such as Qualcomm, which records, in almost real time, many factors which are effecting the truck driver at the time of the wreck. 78% of fatal truck/car crashes occur on a weekday. 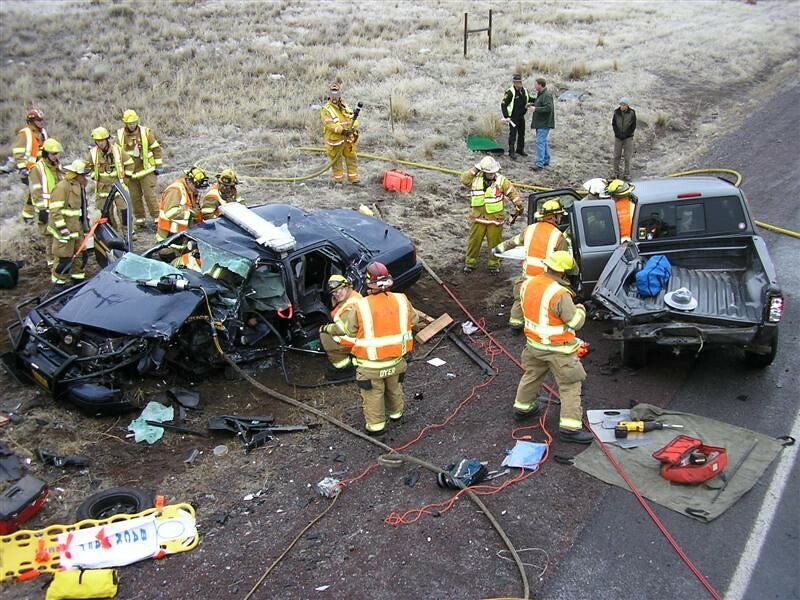 64% of fatal truck/car crashes occur during the day. weekend, the numbers flip and 65% occur at night. Truckers are like everybody else, they are both good and bad, but one thing that can be said about truckers, is that statistically speaking they are more well trained in the operation of their vehicle, they have fewer speeding tickets, moving vehicle violations and they certainly are found to be driving while impaired less often than the ordinary motorist. Only 2% of large truck accidents are related to the use of drugs and or alcohol. By contrast, the numbers for passenger cars is 23%, for light trucks, 22%, and for motorcycles, 27%. The numbers above paint a picture of a hard working group of people, striving to do a difficult job, but accidents do happen, and when it involves a large truck, you need to be represented by the right lawyer, because the damages are likely to be catastrophic! I practice law in Maryland, Virginia, and West Virginia. Statistically, of the millions of truck miles driven, only 8.0% of large trucks will be involved in a fatal crash in Maryland; only 8.6% in Virginia, but in West Virginia the number jumps to 10.4%, well above the national average of 8.3%. So, stay safe out there, but if you can't, then call the right lawyer, for the right results. Past success, while a good predictor, does not guarantee future performance. © 2017 M. Santa Barbara law. All Rights Reserved.